Wedding anniversaries are all about celebrating a couple's journey through life as partners in joy and sorrow. 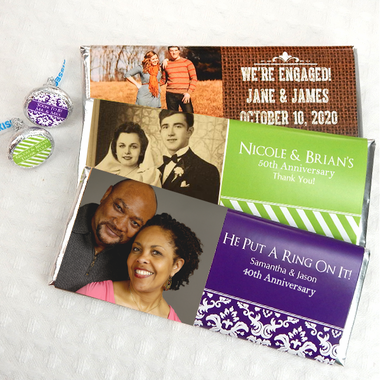 Whether you are celebrating another successful year of love and companionship, or a milestone wedding anniversary, custom photo chocolate bars are the perfect way to share your happiness with your dear ones. Add your unique touch to each anniversary chocolate favor with a beautiful photo of the two of you on the wrapper. 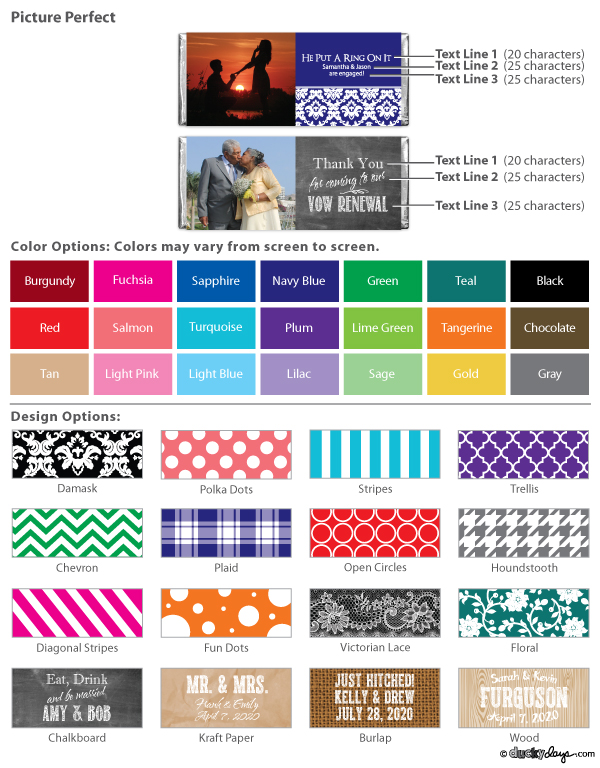 Add your custom message, choose a color and design and you have the perfect gift to share with all your well-wishers.